Gospel artiste Emmy Kosgei and producer Billy Frank were honored at the prestigious Africa Gospel Music Awards (AGMA) in a colorful ceremony held at the Golders Green Hippodrome, London. Emmy who had been nominated in four categories won the Album of the Year Award with her ‘Ololo’ album. Her compatriot Songwriter and producer Billy Frank won the Producer of the Year Award. Other Kenyan nominees were Eko Dydda, Daddy Owen, Kambua,Sarah K, Willie Paul, Anthony Ndiema, Adawnage Band, and Crossover 101 NTV. Last year Emmy and Owen Mwatia, better known as Daddy Owen were honoured with Emmy scooping the Female Artiste of Year Award and Daddy Owen emerging the best East Africa Artiste. 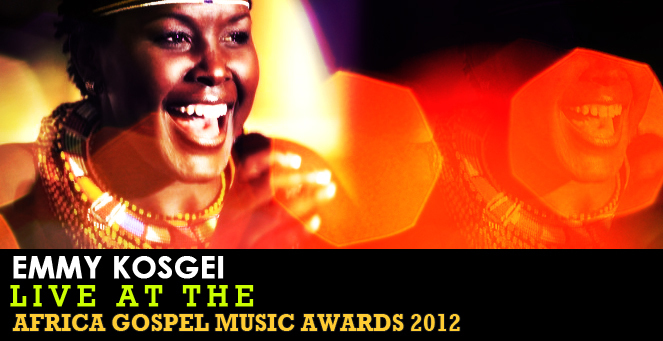 Milele FM was awarded the Best Gospel Radio Programme for its Sunday Gospel show. AGMA was founded by John Wright, Allen Opuku and Charles Koranteg in 2009, to serve as the face and voice for the Africa gospel music community worldwide. The organization is dedicated to exposing, promoting, and celebrating the gospel through Africa-fusion music of all styles.